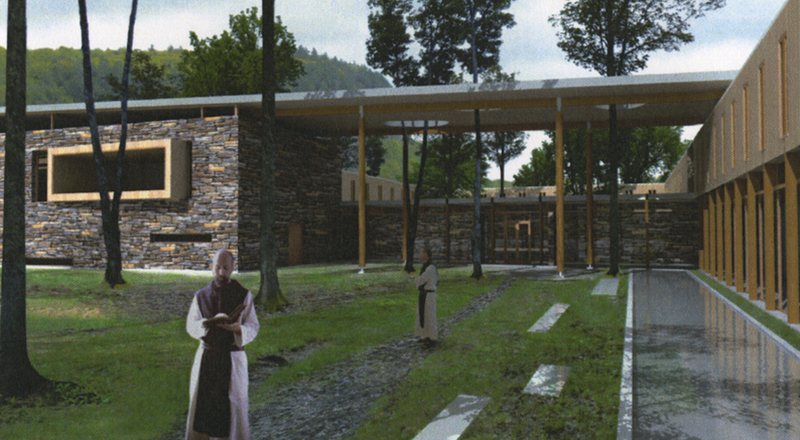 The Cistercian Abbey of Oka organizes an architectural competition, open and anonymous, in two (2) phases for the construction of a new abbey at Saint -Jean- de- Matha in Lanaudière. The purpose of the competition is to select a winning project. The architect, society or group who has designed the winning project will be invited to participate in the conception of the project. The first phase of the competition will be the implementation of the abbey on the site and the architectural expression of the project. The second phase of the competition is focused on shaping more detailed architecture projects, its specific responses to the program and its feasibility. More specifically, the finalists will demonstrate and explain the different architectural intervention strategies, in addition to demonstrate the effective use of developed areas and integrated infrastructure. This phase will examine more specifically the duality between the intimate nature of the abbey and the public aspect of some of its spaces.